Confuse the Big Bad Wolf with this fun child costume. Little Red Riding Wolf by Forum Novelties. Comes in three child sizes: small, medium and large. 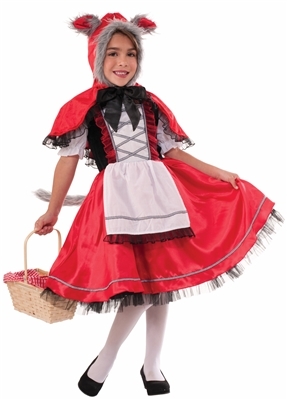 Includes: caplet with attached hood and ears, dress with attached tail. Perfect for trick or treating girls.